Dishonorable Mention Podcast Episode 5: Rank Choice Voting, Political Spirit Animals, and Host Stories. 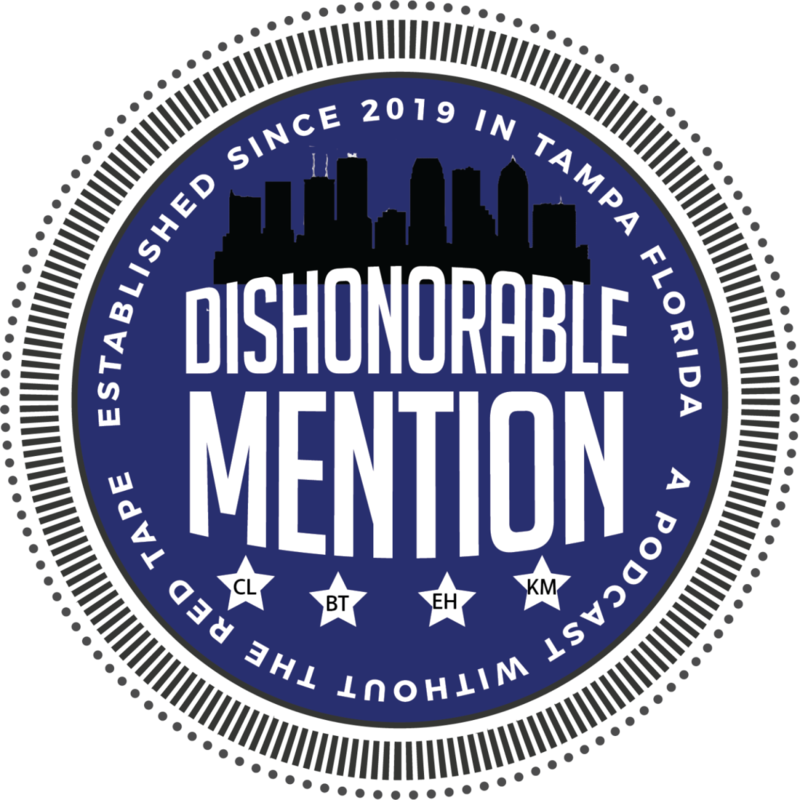 The 813area.com Podcast Network continues with Dishonorable Mention Episode 5. This episode is a topical continuation from Episode 4; we told you there was so much content we had to split it into two podcasts! If you missed us in Episode 4, the hosts talked about the Tampa Mayoral Run-off Election, medical marijuana, and the state-of-the-state by Senator Ron Desantis. Those topics spark my conversation based on reader and listener questions, there is also a special guest; Becca's father Judge Raymond Gross! 0:40: Listener questions! Collin Sherwin joins the pod to ask a few questions about the Florida Voting System. Rank choice voting. It works in other countries can it work in this city and state? 4:42: Who is your political spirit animal? Local, regional, national, Chris Latvala? 9:34: Medical Marijuana and assisting the emerging market to minorities. 10:43: Ernest tells the story about his grandmother and Barack Obama; then the other hosts tell their Obama stories. 20:57: Becca’s father, Judge Raymond Gross, steps to the mic to discuss elections. 31:39: Two truths and a lie! This podcast debuts 813area's new Podcast Network which will add more shows in the coming weeks on all things Tampa. Subscribe to the full network to never miss a show on our host site Spreaker or listen to the show here. You can also find Dishonorable Mention on iTunes, Stitcher, TuneIn, Spotify, or your favorite podcast app, and rate us five stars and tell your friends! You can also listen to all of the episodes in the embed player below.